One of my favourite postings in a long while. As an inveterate collector how I would love to have these in my collection. 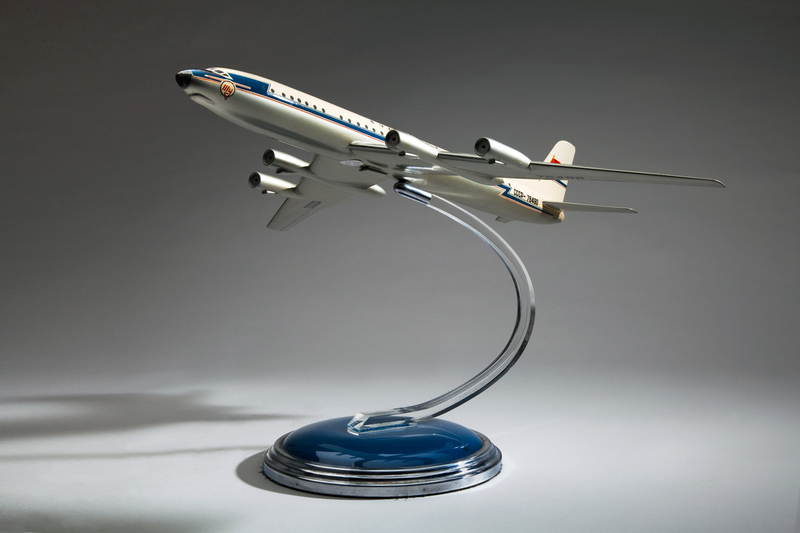 What beautiful aircraft; what graceful models; what simple, gorgeous photographs by photographer Chad Michael Anderson. 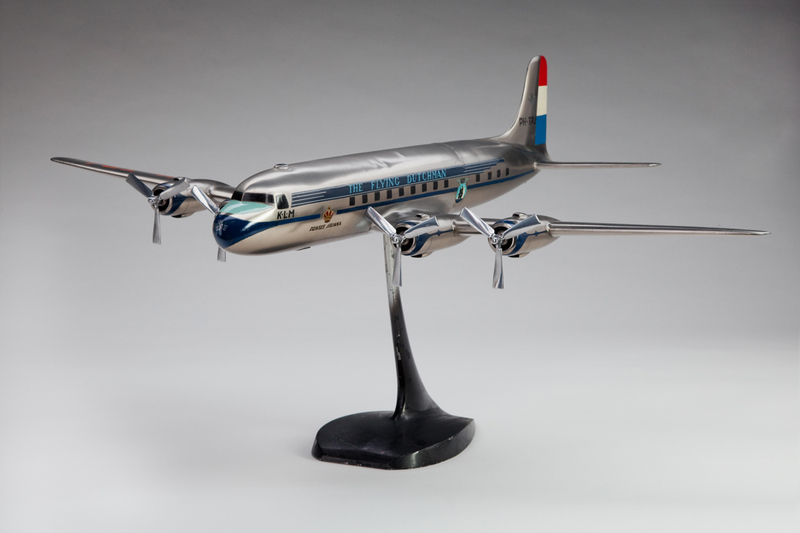 The Lockheed Constellation /Starliner has to be one of the most delirious aircraft ever made! Many thankx to John Hill, Assistant Director, Aviation for his help and to SFO Museum for allowing me to publish the text and the photographs. 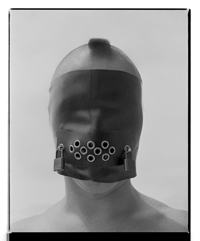 Attribution for the photographs is to the SFO Museum (actual photographer unknown). Please click on the photographs for a larger version of the image. 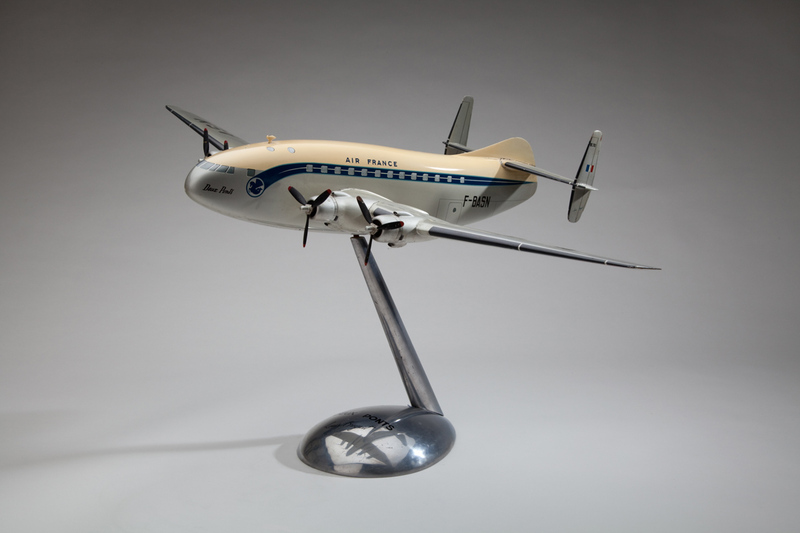 “Immediately following the end of World War II in 1945, airlines and passengers benefited from a surplus of inexpensive, advanced propeller-driven transport aircraft, or “propliners.” Over the next fifteen years, commercial aviation expanded rapidly as airlines persistently requested improved propliner designs to lower costs, attract new customers, and gain advantages over competitors. In meeting these demands the manufacturers of North America and Europe developed increasingly superior aircraft. 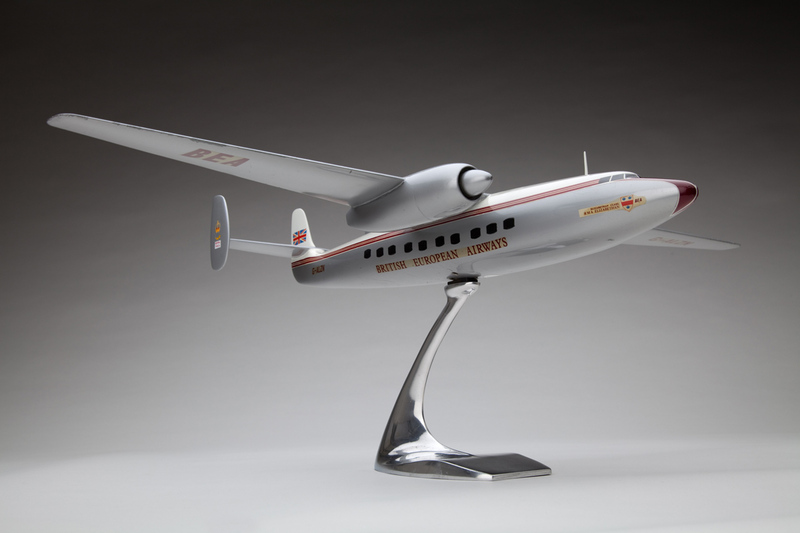 These included the jet-powered turboprop airliners that flew successively faster, higher, and farther. 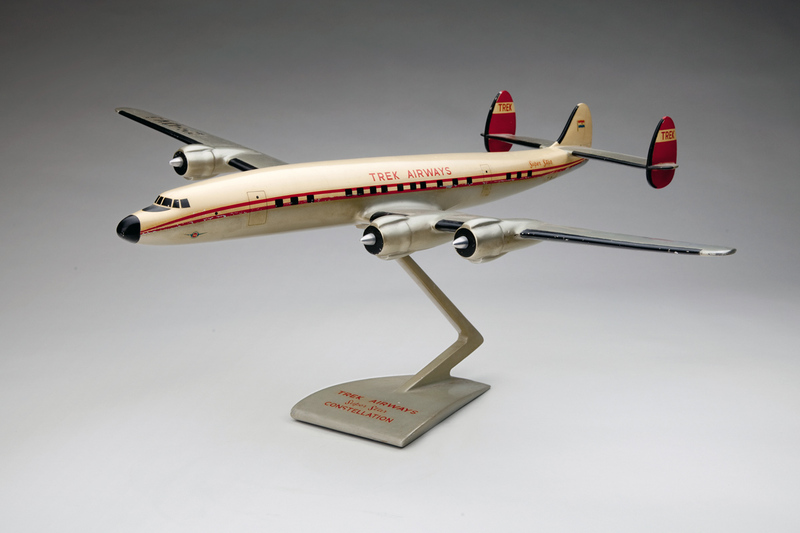 Making scale models of these airliners was an important part of the design, manufacturing, and marketing process during this period. Crafted by in-house model shops or independent model makers, they represented the new designs in miniature for convenient three-dimensional analysis. Accurately painted livery schemes on the models helped the airlines to imagine the new airliner operating within their fleet. 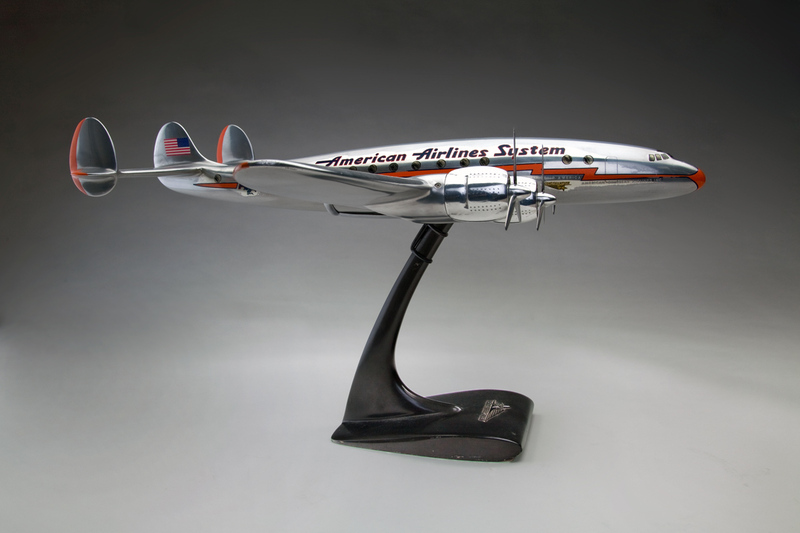 Carriers also commissioned the making of models to promote their improved services in airline offices and travel agencies. 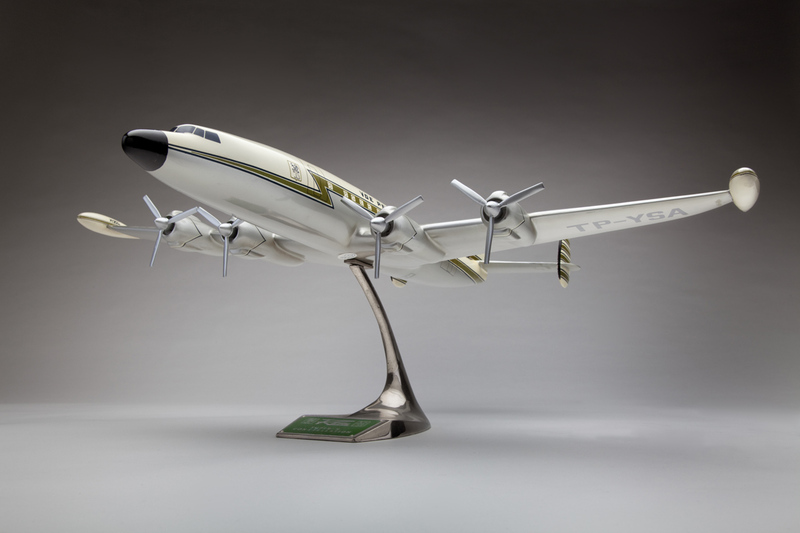 During the late 1940s and early 1950s, they were usually made of sheet or cast metal and complemented with metal bases often formed into unique streamline shapes. 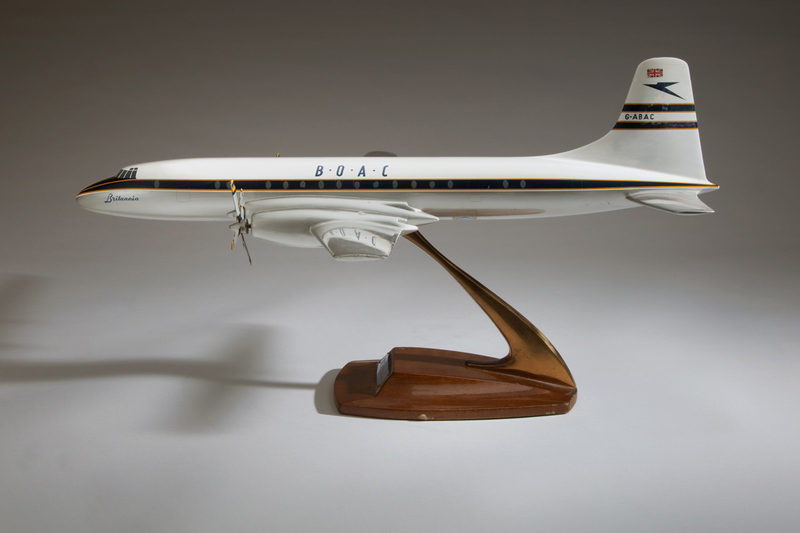 By the late 1950s, models began to be produced from plastic, which was easier to mold into intricate shapes and reflected the proliferation of new synthetic resins.